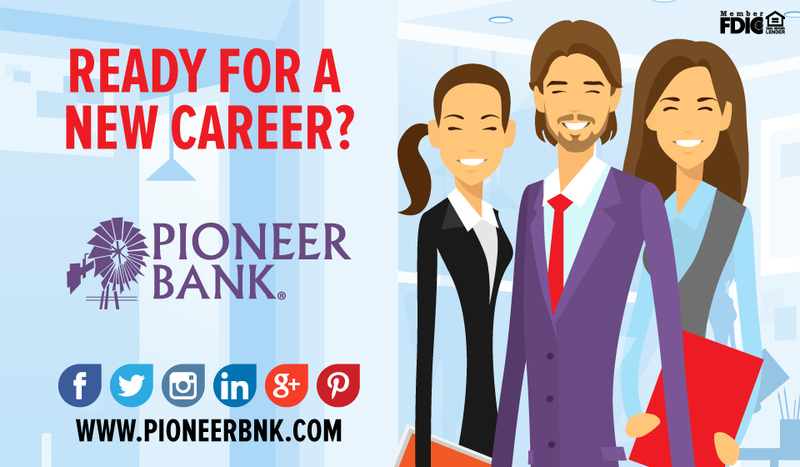 Pioneer Bank has exciting opportunities for dynamic professionals seeking to join our growing organization. We are seeking to fill several positions. Training will be provided. If you are a goal-oriented professional, with a customer service focus, please apply at 1020 N. Turner St. in Hobbs, call 575-391-5800, or apply online at www.pioneerbnk.com. Tags: best bank, career, employment, hobbs, job, position, teller. Bookmark the permalink.